Masters in English Literature at Department of English, University of Delhi is one of the most popular master’s course. That’s why, there are more than ten thousands of students from across India appearing for it entrance exams in a hope of getting admission in it. For any English literature student, it is a dream course, which they want to realize anyhow. What makes MA English DU, so much appealing and attractive? The answer lies in quality of education at Department of English, curriculum and career prospects after completion of the MA English course. If you’re at a penultimate stage of making a decision to whether take up MA English DU course or not? Then you’re at the right place to know, why you should take it. 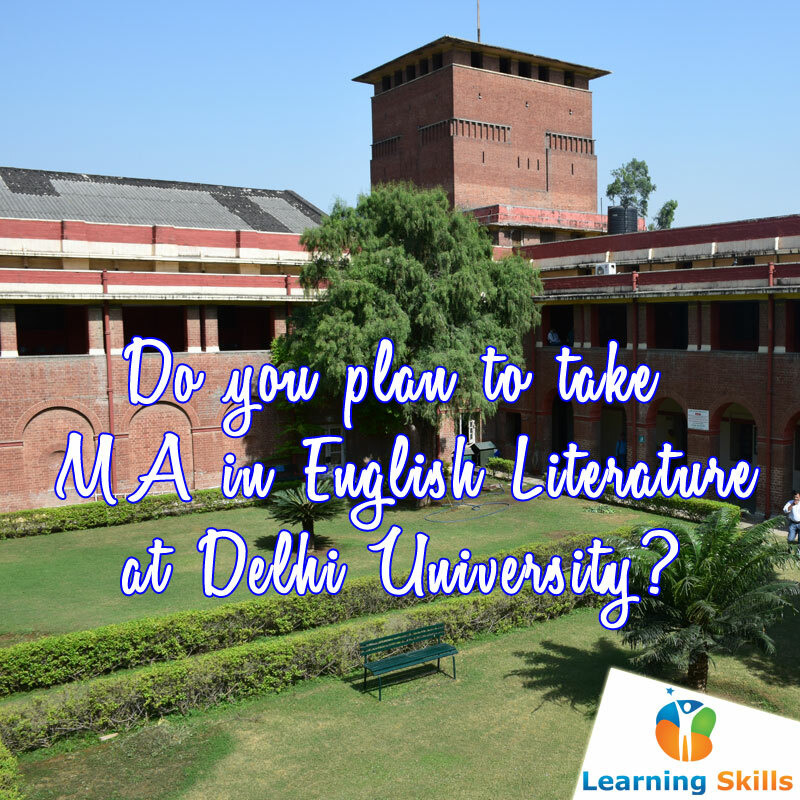 Let’s start with course curriculum that’s on offer in MA English at Delhi University. MA English DU curriculum is extremely vast covering from Chaucer age to Indian Literature and contemporary literature. You get to read all classic works to more niche works in English literature. Click here to view complete MA English DU syllabus. Arts Faculty’s department of English is culturally and fashionably far ahead than its counterparts. Moreover, you get to meet lot many different personalities from across India, brightest of all, and top intellectuals in India. It is another strong reason, why you want to take up MA English to get into such an open environment. Career Prospects – what you get after completing MA English? MA English DU can take you places yes, we mean it. There are lot many opportunities available in writing, advertising and marketing, teaching and education, digital marketing, corporate communications, business development, and other industries. Moreover, you can take up government jobs or plan for further studies in India or outside. So, what it takes to get admission in MA English? If you’re pursuing B.A. English Honors from Delhi University and if you’ve secured 60 percent or more (OBC/SC/ST/PwD/CW need 54 percent or more) then you can get direct admission to MA English. Else, you’ve secure less than 60 percent and more than 45 percent or you belong to some other graduation course (50 percent minimum requirement) then you can appear for the entrance exam for MA English. Also, you can visit official website of Department of English of Delhi University here.